James H. Shumaker, age 90, of Wilmington, passed peacefully on Wednesday, March 27, 2019. 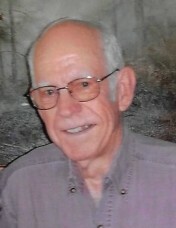 Born in Adams County on March 9, 1929, he was the son of the late Charles and Jannie Smith Shumaker. Preceding him in death was his loving wife of 68 years, Lois Black Shumaker, who passed on November 20, 2018. The two were married on September 28, 1950. Jim was a 1946 Peebles High School Graduate. In 1951, he graduated from Wilmington College. A former member of the Elks, Jim was the CEO and President of Bennett Metal Products, Inc., until 1986, when he sold the company and retired. Following his first retirement, Jim went to work for, and later retired from, PCU in Dayton. In his younger days, Jim loved to go boating and water skiing. He was an avid outdoorsman – passionate about fishing, hunting and farming. He is survived by his children: Connie (Rick) Adams and Gregory (Leslie) Shumaker, all of Wilmington. Also left to cherish Jim’s memory are grandchildren: Christopher (Dawn) Shumaker, Stacie (Chuck) Older, Nicholas (Amy) Shumaker, Michael (Michele) Adams and Brian (Amanda) Adams; 11 great grandchildren; one great-great grandchild; and a sister, Margaret (Eugene, dec.) Murphy of Mt. Washington. Also a very special niece, Beverly (John) Simmons. In addition to his parents and wife, Jim was preceded in death by a sister, Mary Opal (Russell) Elmore. Memorial contributions are suggested to Community Care Hospice in Wilmington. Family will receive friends for a graveside service at Sugar Grove Cemetery, Wilmington, on Tuesday, April 2, 2019, at 11am. Littleton Funeral Home has been entrusted with arrangements.